Funny how buying a ceiling light can set you off wanting to start a new collection. But that’s exactly what happened to me the other day. I wasn’t going to mention it though, dismissing it as yet another one of my fads, but when someone on the Stamp Magazine forum mentioned their interest, I changed my mind and figured: what the heck! What am I on about? Why, Art Nouveau of course! An art form which I’ve always been extremely attracted to. There is something magical about those flowing forms, the escape from dark and highly rigid classicism. But can one turn one’s love for Art Nouveau into a stamp collection? If you don’t mind non-contemporary stuff, it’s very easy. 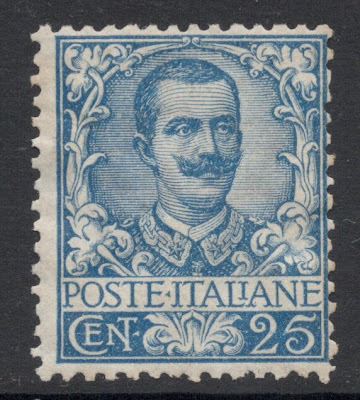 There are so many stamp issues featuring Art Nouveau, from poster art to metro stations to ornamental objects. And they all look fabulous, but somehow it’s never been what I’m looking for. I think I’d like my Art Nouveau collection to be more contemporary rather than thematical. Now, Art Nouveau happened roughly from say the 1890s to the 1920s. So the highlight may well be in the centre decade of it, when most classical influences had disappeared and Art Deco hadn’t taken over yet. That particular period coincides with the Edwardian period in British and Empire philately. So, would it be possible to build up an Art Nouveau style collection by concentrating solely on that period? 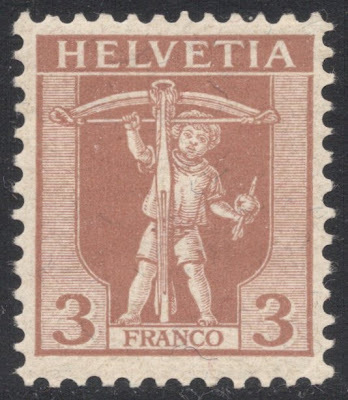 For a start it would exclude Art Nouveau stamp design No. 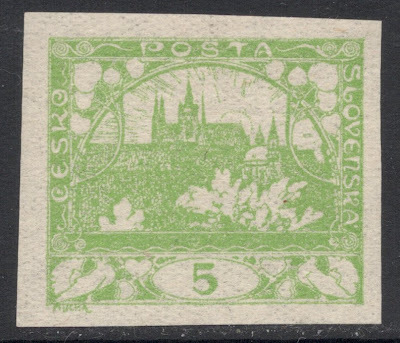 1, Mucha’s Hradcany stamp from Czechoslovakia. 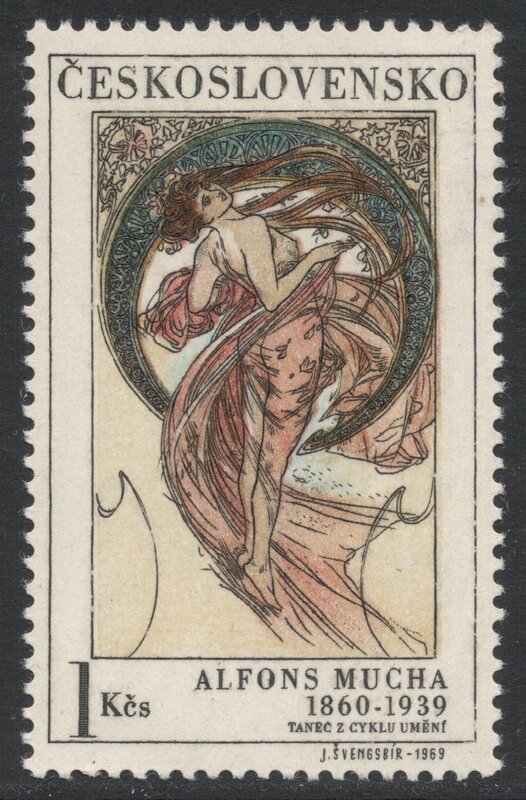 But, that little mishap aside, I believe the idea does have some potential, the only problem being: what do we consider Art Nouveau stamp design? 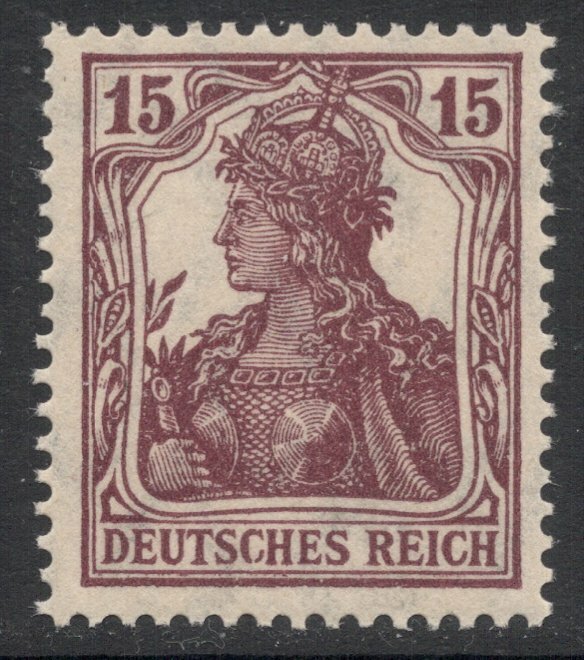 That particular forum member highlighted the Art Nouveau style of the early 1900s Germania design. 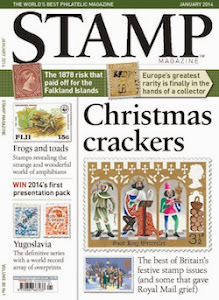 Great, because that’s one of my favourite stamp designs. I can see where he’s coming from as well, what with especially the frame being very ‘flowy’, for want of a better word. We may also be very happy with the Floreale definitives of Italy, again of the early 1900s, which were said to be based on the Liberty style, the Italian version of Art Nouveau. Again, it happens to be one of my favourites. 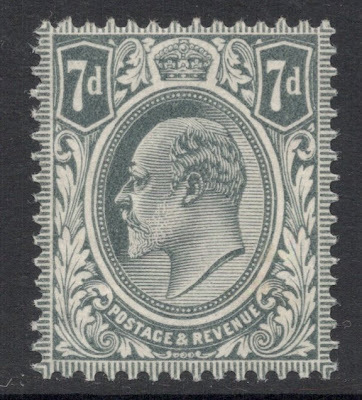 Looking at the British Edwardian stamps themselves, we sort of come a cropper: they are almost all based on previous Victoria designs, so would have to be discarded. 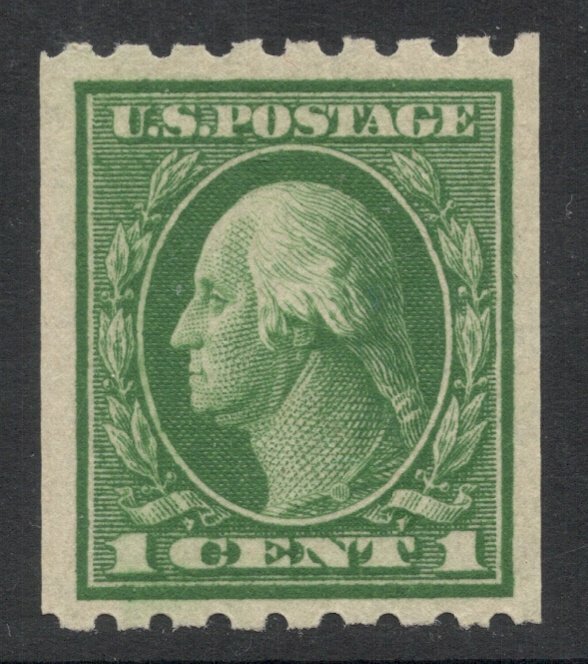 We could, however, include the Tyrian Plum stamp, if we had enough money, or at least the newly designed 7d. I’m relatively pleased so far, but there remain so many questions. What about the Swiss stamp of that period, Tell’s Son? Doesn’t look too Art Nouveau to me. Or the Dutch Wilhelmina stamps. Busy and fussy, but is it Art Nouveau? And is there such a thing as an Art Nouveau movement outside of Europe? In the US, the Tiffany style is supposed to be based on the European art form. So is this a design with Tiffany influences? So here is where you art lovers come in. I need a bit of guidance! If only we could come up with some sort of description of what type of design would qualify, that would make me a happy bunny. So, answers on a postcard please, or better still, use the comment section here on the site! The Italian and British stamp are influenced by the Rococo / Baroque while the American stamp is clearly neoclassicism. 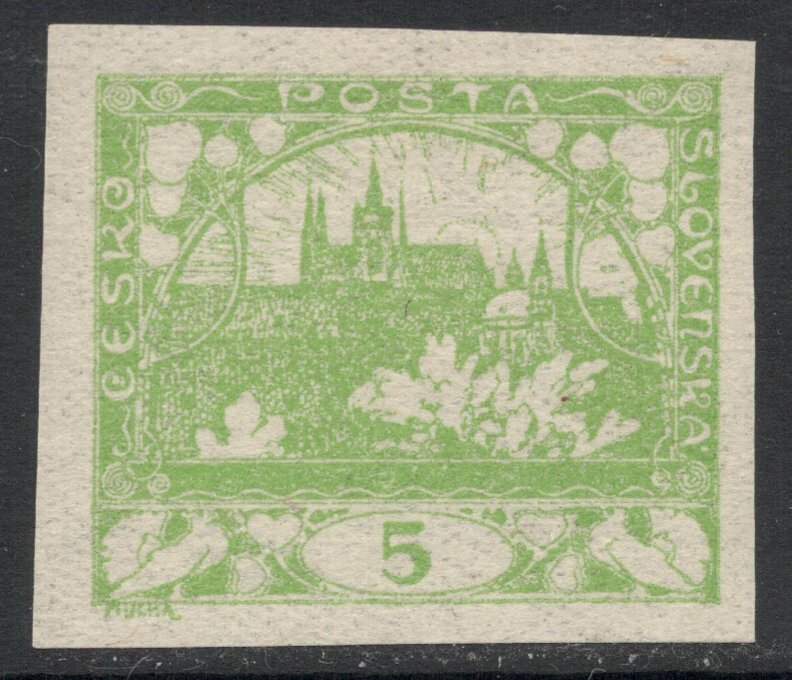 Also, how can you exclude the Hradcany stamp; it is PURE Art Nouveau! It's a great idea! I mentioned this post on my blog. A new way of collecting!